A group exhibition "Doll’s House" will open at Kapellhaus on April 12. The exhibition takes its title from a play written by Henrik Ibsen in 1879. 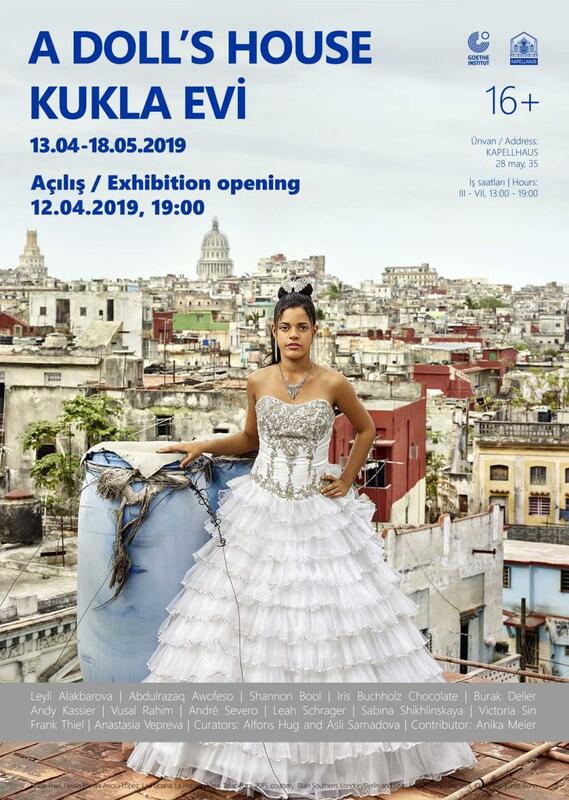 Famous artists Leyli Alakbarova, Abdulrazag Awofeso, Shannon Bool, Iris Buchholz Chocolate, Burak Delier, Andy Kassier, Vusal Rahim, Andre Severo, Leah Schrager, Sabina Shikhlinskaya, Victoria Sin, Frank Thiel, Anastasia Vepreva will present their works to art lovers. The drama is significant for the way it deals with the fate of a married woman, who at the time in Norway lacked opportunities for self-fulfillment. The piece which continues to be one of the world’s most performed plays, caused a storm of outrage at the time that went beyond the realm of theater. Ibsen explained his choice of the plot to show "an exclusively male society, with laws made by men and with prosecutors and judges who assess feminine conduct from a masculine standpoint". Nowadays women in most parts of the world do not face the challenges of Ibsen’s time. Society has evolved and so has the relationship between men and women. It showcases a wide range of those relationships. The exhibition also addresses the issue of female representation in contemporary art, both in a critical as well as ironic and ludic way. Opening hours: Wednesday - Sunday, from 13:00 to 19:00. Admission is free.